A tiny island country floating by itself in the North Atlantic Ocean, Iceland is a place of raw beauty fashioned by the forces of fire and ice. It’s a land that is still visibly a work-in-progress. The Silfra fissure marks the spot where the Eurasian and North American continents tear away from each other at a rate of about an inch a year. 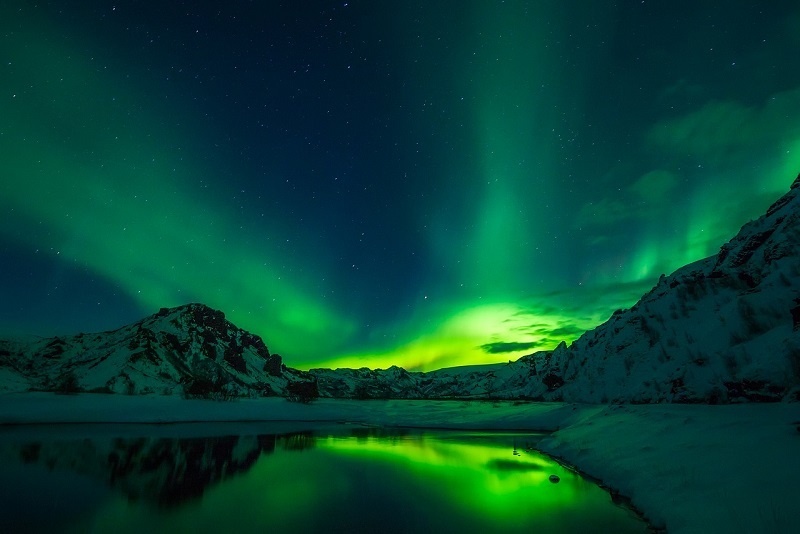 Then there are countless hot springs and geothermal hot spots, mighty waterfalls, gushing geysers, glaciers cutting pathways through the mountains, and rumbling volcanoes covered in ice – all under the hypnotic spell of Aurora borealis or the Northern Lights. As its name suggests, the Ring Road, or Route 1, is a picture book two-lane road – often littered with cows, horses, sheep and birds – encircling the entire island. You can drive the Ring Road in under 24 hours, but with plenty to gape at, you will need at least a few days and your own motorhome rental so you can stop at places that capture your interest for as long as you want, and explore the back roads that lead to more surprises. 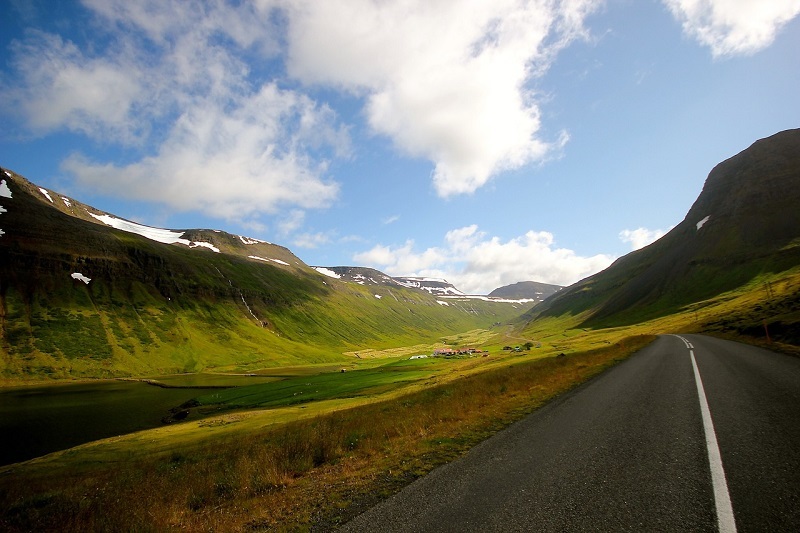 The road runs for about 1,300 kilometres, weaving its way through rough-hewn mountains, fjords, flat land and plateaus. It connects the capital, Reykjavik, to other major cities and big towns, as well as takes you to national parks and lakes via smaller routes. 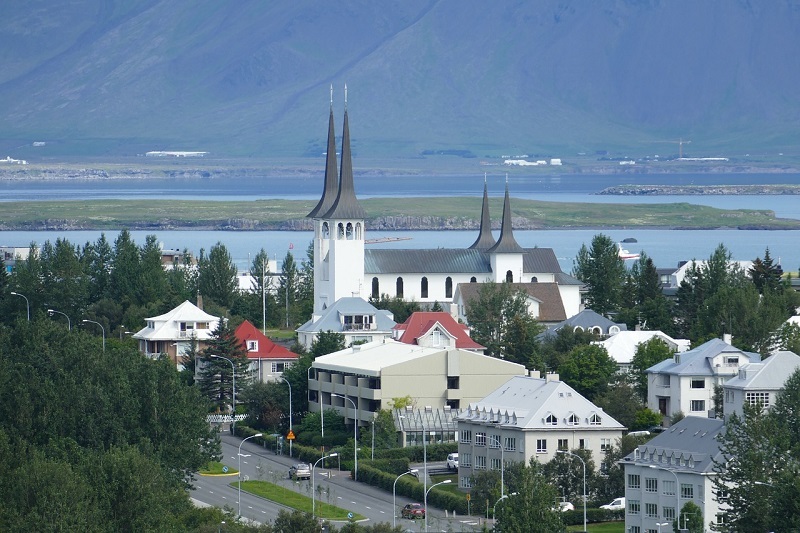 You can pick up your motorhome rental at Reykjavik or Keflavik airports. On clear days, the view from your motorhome rental stretches far into the horizon, and you will see country farms, waterfalls, glaciers, lakes, hot springs, sleepy villages, islands and the sea. 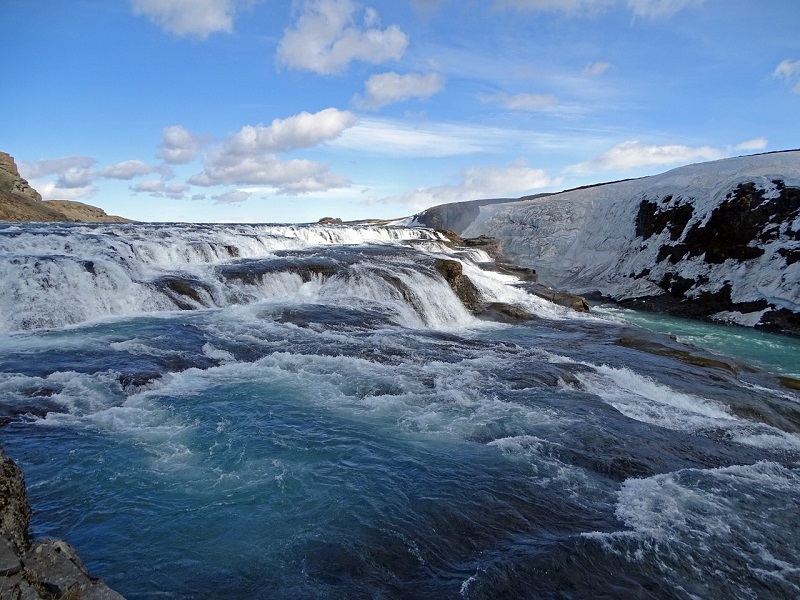 As you continue on farther south, there are plenty of impressive waterfalls, glacial lagoons, quaint coastal towns, black sand beaches, and glacial rivers to view. Attractions in the east along Route 1 include a number of mountains, beaches and fjords. As you travel the road to the north, drop in at Námafjall Hverir geothermal area to see up close bubbling blue mud pits, boiling mud pools and mud pots, steaming fumaroles, hot springs and solfataras. While most of the west part of Iceland is not on the Ring Road, the Westfjords and the Snæfellsnes peninsula are worth stopping for. If you only have enough time for a day trip but want to experience some of Iceland’s iconic landmarks, this 300 kilometre route in south Iceland is the best way to go. The Golden Circle route a short 40-minute drive from Reykjavik to Thingvellier National Park, the biggest attraction among the three which includes the 32-metre Gullfoss waterfall plummeting into a river gorge, and the exploding geyser of Strokkur spouting a vast fountain of water 15-20 metres into the air every 10 minutes. Thingvellir National Park is a UNESCO World Heritage Site not just because this is where the Eurasian and North American plates can be seen pulling apart above-ground (creating the crest known as the Mid-Atlantic Ridge), but also because this is where Iceland’s parliament was founded in 930. You can go snorkelling or scuba diving (experience required) between the continents in Thingvallavatn, the lake famous for its crystal-clear glacial waters that fill the Silfra fissure.